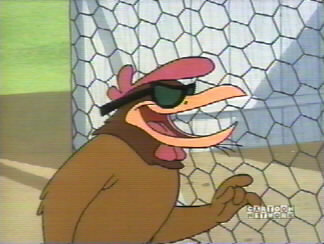 Banty Rooster only made one Looney Tunes appearance. was limited to one role in the 1963 Banty Raids picture. chasing the female chicks around the barnyard. but Barnyard Dawg prevails in the end.